Spring is officially here and Prom season in Southern Oregon is only a few weeks away! We understand that Prom is a night to remember so we’ve come up with a Prom Prep Beauty Checklist. 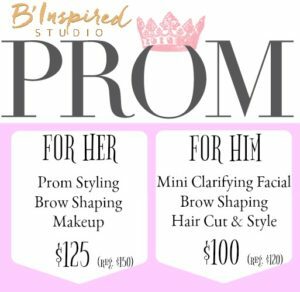 It’s all about the date, the dress, being with friends and taking lots of pictures so here at B’Inspired Studio, our goal is to have you and your date looking your very best! 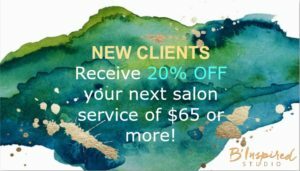 To ensure availability, schedule your salon appointment with B’Inspired two months in advance. Ladies, be sure to bring in pictures of makeup and hair inspiration to show to your stylist and makeup artist. Book a teeth whitening session with a professional or start whitening your teeth using a product such as Crest White Strips. If you’ve never had lash extensions before, you’ll want to book your full set of lash extensions at least 14 days prior to your prom, to avoid any unforeseen adverse reactions. 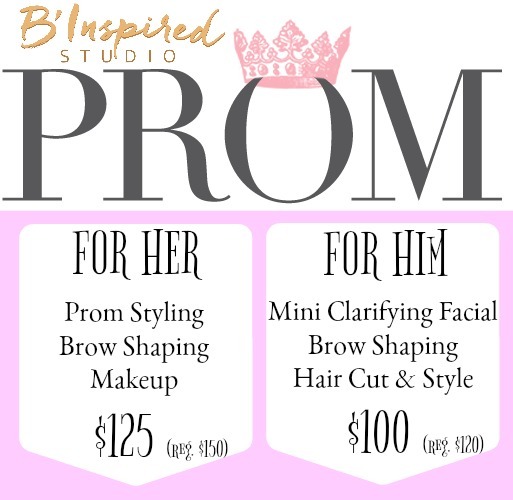 Often a facial can actually produce a small breakout as it rids skin of impurities, so schedule your B’Inspired Teen Clarifying Facial a good week before the actual prom date. Give your skin time to recuperate. Wait until one week before any waxing service otherwise, you will start to get regrowth. 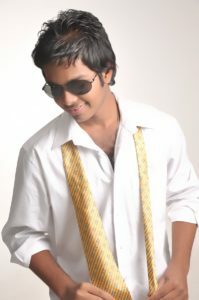 Guys, this is a great time to come in for a trim, style a brow grooming as well! To avoid chipping or fading, wait until the day before or the day of the prom to schedule your manicure appointment. Don’t forget, if your footwear is open toed a pedicure should be booked too. If you don’t want to spend the money or if you get squeezed out of an appointment, do your own nails, but early in the day. Check out our prom specials and be sure to book now to reserve your appointment!